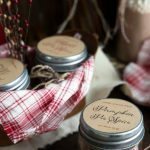 Easy homemade apple pie and pumpkin pie spices perfect for Holiday gifting with free downloadable printables. Hey everyone! How was your Thanksgiving?! Lots of great food and even better company? We had quite an unconventional Thanksgiving, but one of my favorites thus far. We’ve been traveling this week — we took a road-trip up to Vermont to visit the husband’s old stomping grounds. So last night our Thanksgiving dinner was at one of the only open places in town – an Ihop. Nothing like pancakes to replace turkey 🙂 The rest of the day was filled with a lot of great stories as the husband drove us around and reminisced. And I have to say, he’s totally made me fall in love with Vermont. I’m ready to move here! Mix all of the spices together. Store in an airtight container. This printable also includes a few extra designed labels in case you want to gift a whole basket of spices. 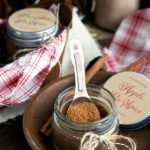 There are labels for the two recipes on this post (apple pie and pumpkin pie spice), a label for cinnamon sticks, a label for a steakhouse rub, and a label for a hot chocolate mix (recipe coming soon!). Is it weird that I am SO jealous that you Thanksgiving at IHOP? That place is my life. I made my first turkey, and it turned out great 🙂 so that was awesome! 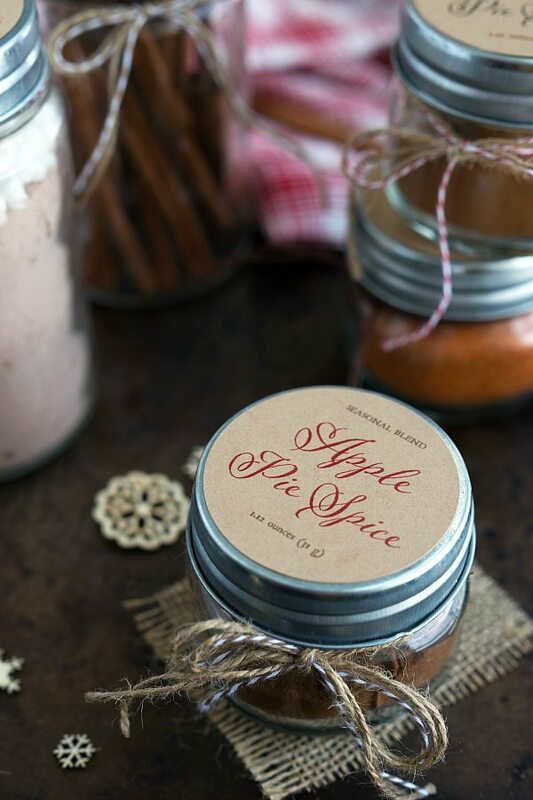 These printables are soooo cute, and I love homemade spices! Pinned! I’ve never been to Vermont but I so want to go! These printables are adorable, and I love giving homemade gifts. Pinned! I love that you guys went to Ihop! That sounds like so much fun. And these printables are just, the cutest! Glad you had a wonderful holiday, Chelsea! 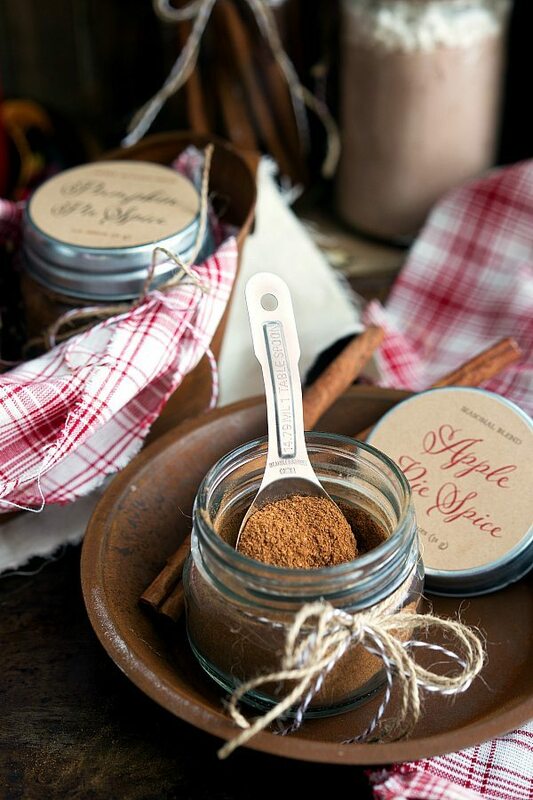 I love your idea of making homemade apple pie and pumpkin pie spice! I go through so much during this time of year, so having a homemade version is fantastic! Great printables, too! Hope you had a wonderful Thanksgiving, Chelsea! Love these handmade gifts Chelsea – and the labels are adorable! We had an unconventional Thanksgiving too. We went to the beach for the first time! Had a blast though. Glad you had a great holiday. And you can’t ever go wrong with pancakes, right? Love this simple gift. I’m sure it would be welcomed by whoever receives it. Wow, these look so gorgeous! I love giving away spice blends! I so want to go to Vermont. 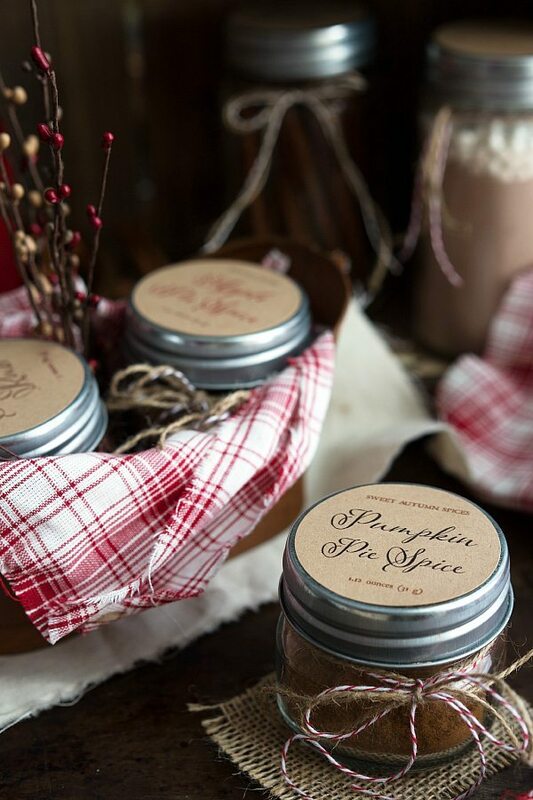 These photos are gorgeous and I always need spices like this this time of year! I so want to move to Vermont. I’ve been trying to convince Squirrel, but it’s a no go 🙁 These are absolutely adorable. I love homemade spices. Awww, I love all the cute ties and decorative wrappings! Do you buy it all online? 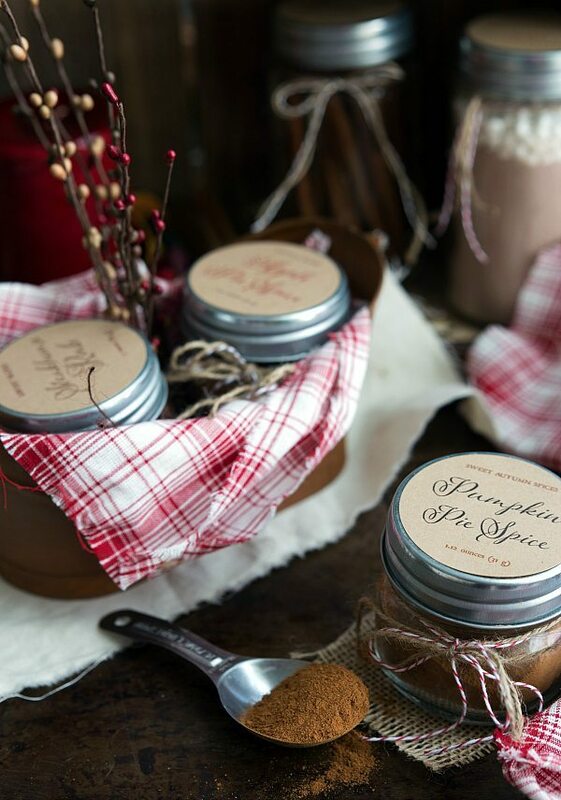 I made the pumpkin pie spice to use in all the pumpkin recipes I was making for a bridal shower. I doubled the recipe and ended up using almost the entire thing in one weekend of baking! I love the taste of fresh ground nutmeg in it–it makes a huge difference! You can buy whole nutmeg in the spice section, and then grate it as needed with a zester. It’s a little expensive compared to ground nutmeg, but it’ll last a REALLY long time and is SO much better!